At New Bond Street Pawnbrokers, our team of fine watch experts is passionate about luxury timepieces and regularly grants loans on Harry Winston watches. The expertise and advice of our experienced appraisal team is available for any model of Harry Winston watch, no matter the condition. 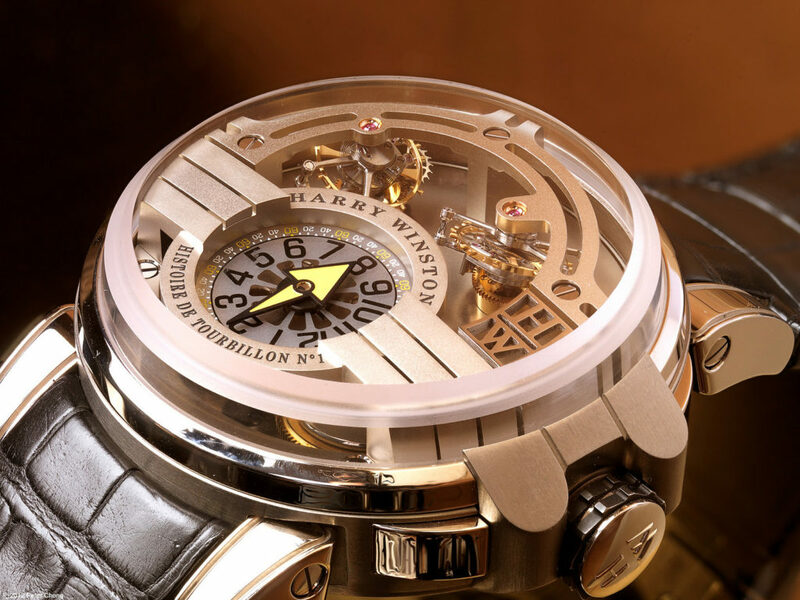 Harry Winston is the reputable New York brand with a rich and illustrious heritage, and their watches are among the most collectable pieces in the luxury watch market. If the question is “Where should I pawn my Harry Winston watch in London?”, the answer is New Bond Street Pawnbrokers. With the support and expertise of our team, you will be able to release capital via loans on Harry Winston watches at our award winning pawn shop in London, be they modern, vintage or antique. When we value your timepiece, we will consider factors like the current market value, the model, its current condition, age and provenance to ascertain a specific, accurate valuation for the loan amount. Should I pawn my Harry Winston watch? As an independent specialist in luxury watches, we are always willing to load against quality pieces from the Harry Winston brand. Not every model from Harry Winston will match the value of the Histoire de Tourbillon 7, which currently stands at around £470,000, but there are plenty of models that will fetch a good price. Pieces from the Ocean, Opus, Premier and Midnight collections are in high demand, and will get a good valuation if they meet all the appropriate criteria. Before you can be loaned any money, the value of your watch must be ascertained. This is a process that involves someone from our team assessing it on certain criteria including condition, age, model and provenance. Once this process is complete, the current market value is considered before a generous loan offer is made. We handle every step of the process with the utmost discretion, and will treat your watch with great care whilst we hold onto it. The Harry Winston brand is known for style and cutting-edge engineering. What you may not know, however, is that your Harry Winston watch could help you get access to an instant loan. If you need to pay off a debt, fund a new car purchase or invest in your business, your luxury watch could be the answer. And you can get your watch back at the end of the loan agreement. If you are planning to pawn your Harry Brown watch, our expert team is here to help. Providing loans against these fine timepieces is our speciality, and no credit check will be necessary. Once the valuation is completed, the loan is paid out immediately. And you will feel safe with our friendly, professional team, who have vast experience of dealing with high end clients. We offer an outstanding level of service and advice with every transaction.